Lovely Crescendo Model, largest stand alone home, with over 2500 sq ft of living space. 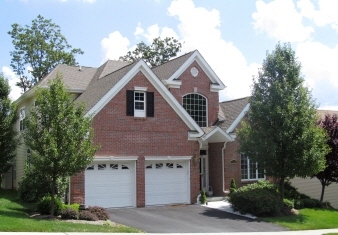 2 bdrms, 2½ ba, loft, rear patio, 2 car garage, at community of Nolan’s Ridge. Carefree, low maintenance living with all the conveniences of a condo community. Former Model w/many upgrades. Hardwood Floors. Butler's Pantry. High Ceilings, Storage over Garage. Community with Many Amenities –Outdoor Heated Pool, Fantastic 2 Floor Clubhouse w/ Exercise Room, Multi-Purpose Hall and Full Kitchen.All Majestically Set Among Rolling Hills w/ Scenic Views . IT DOESN'T GET ANY BETTER THAN THIS! Convenient to Shopping, Restaurants, Mt. Arlington Train Station - Train to NYC, Lake Hopatcong, and Major Commuter Routes. A GREAT HOUSE, A GREAT COMMUNITY, A GREAT LOCATION! Floor Plan and Feature sheet available at property.